During the summer, I take full advantage of a local farm market which carries wonderful bi-color corn from Indiana. We have buttered corn-on-the-cob every Sunday and I try to serve something as an entree that won’t be too filling. I make a Texas Caviar dip which everybody likes, but my older daughter requested one that uses less sugar/oil, no corn (since we were having the fresh version) and includes chicken. I couldn’t find anything like this online and adapted my Texas Caviar to fit the bill. Place vinegar and sugar in small saucepan over medium heat. Cook until sugar is dissolved; remove from heat, add salt/pepper and oil. Set aside to cool. Tostidos Scoops or tortilla chips. Chips should be sturdy enough to hold the dip. Optional: I serve this along with a bowl of chopped onions and a shaker of cayenne pepper for those who want to add them (I do). Mix dip ingredients in a large bowl and pour marinade over. Toss gently to mix and refrigerate at least 2 hours (up to 24 hours, adding the chicken and tomato pieces during the last 2 hours). Serve cold dip with dippers. This dip along with corn-on-the-cob and fresh fruit pie = a great summertime meal. This recipe goes back to 1997 when I found it on the back of a cornstarch box. I adapted it to my family’s tastes and we all loved it. In large skillet: Heat oil, add onion, cook for 3 minutes. Add chicken and cook until heated through. Add remaining broth, potatoes and green beans to skillet. Simmer covered about 5 minutes or until heated through. Stir cornstarch mixture and add to skillet. Stirring constantly, bring to boil, boil 1 minute. Serve immediately. I saw a recipe online for bell peppers stuffed with rice, ground chicken and an interesting blend of vegetables which sounded good, but I thought my family would like it better in casserole-form. I used chopped bell peppers along with chicken breast rather than ground chicken and substituted orzo for rice to make a very flavorful and satisfying meal. I used my favorite mixture of oregano and chili powder to give the dish a little kick and it was voted a winner by the family. I assembled the dish a day ahead of time and baked it for Sunday dinner. We had enough for everyone to have an extra serving for supper during the week. This dish would also freeze well. In a large skillet, heat olive oil and cook bell pepper and onion until soft but not brown. Add minced garlic, oregano, chili powder, salt, and black pepper. Stir in tomato sauce, thawed spinach, artichoke hearts and sun-dried tomatoes. Add cooked orzo and shredded chicken breast. Spoon mixture into oiled 9×13 baking dish. 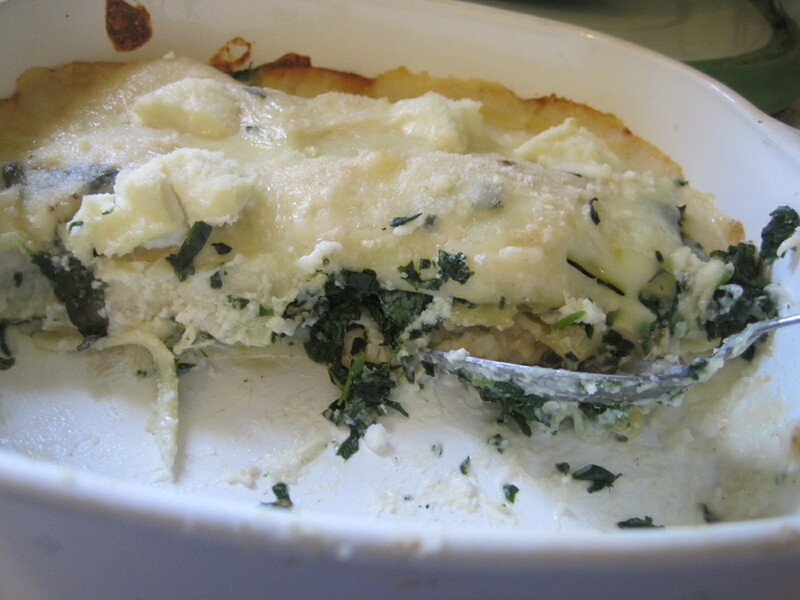 Dish can be covered and refrigerated at this point and baked later. Preheat oven to 350 degrees F. Place covered casserole in oven and bake for 30 minutes or until mixture begins to bubble. 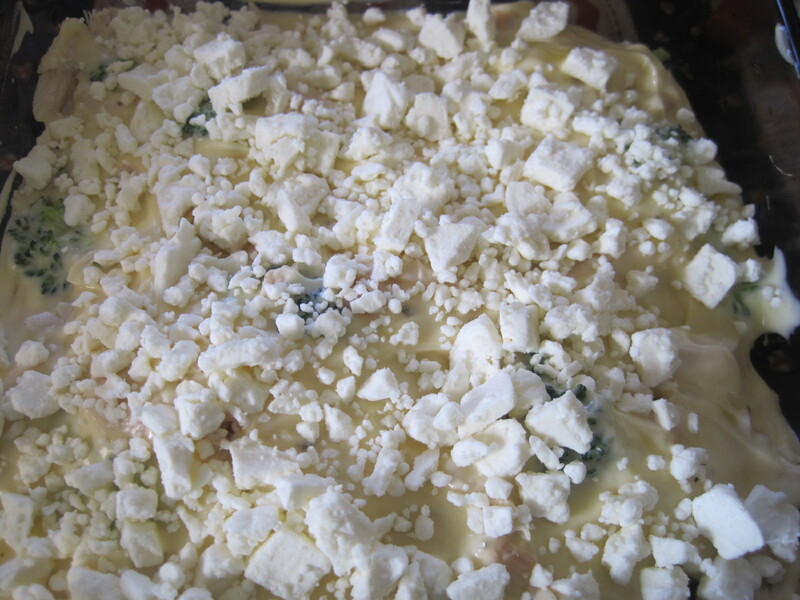 Remove cover and sprinkle with crumbled Feta cheese. Bake for 10 minutes more. Serve hot. 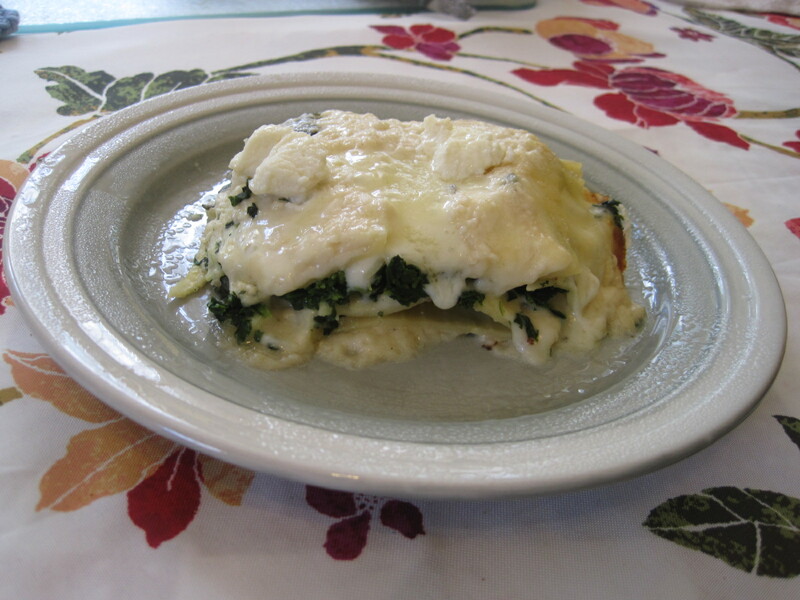 I found this recipe over 10 years ago online (sorry, I don’t remember the source) and adapted it to make a nice, light luncheon or supper dish. I would prefer fresh peaches, but canned ones also work fine and give a little pep to this low fat, low cal meal. Place chicken cubes in prepared casserole and sprinkle lightly with salt and pepper. Set aside. In a medium skillet, heat olive oil and cook onions over medium heat about 5 minutes. Add paprika and chopped green onions. Cook an additional 4 minutes. Spread onion mixture over chicken; spoon orange juice and bourbon over the top and bake uncovered for @ 400 degrees F for 30 minutes, turning and stirring occasionally. Remove chicken from oven and spoon peaches over the top. Grate nutmeg lightly over peaches and return to oven to bake for 15-20 minutes more until chicken is done. Diet Power: ¼ of casserole with ½ cup rice = 278 calories, 3.7 g fat, 37.7 g carbohydrate, 1.99 g dietary fiber, 24.2 g protein. I found this recipe, adapted slightly here, on a cherry orchard web site in 2013 (page no longer available). I just got around to making the wraps and they are really good, quick to make and have some vegetables included along with the tangy dried cherries. I’ll be making these again. *Instead of tortillas, I used some great flatbread I found in the deli section of my grocery store. 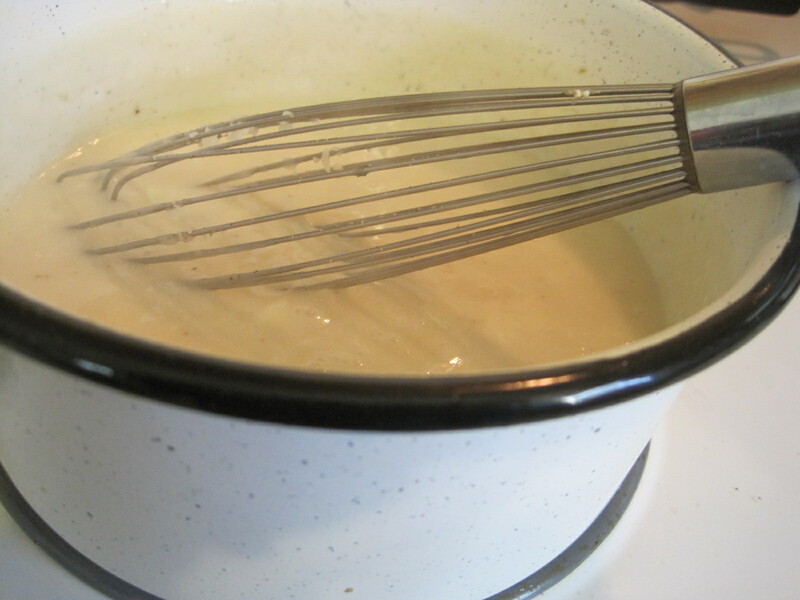 Whisk together yogurt, mustard, Worcestershire sauce, curry powder, salt and pepper in a medium mixing bowl. Gently stir in chicken, cherries, carrot, cucumber and green onion. Mound about 3/4 cup chicken mixture down the center of each tortilla or flatbread, leaving space all around for folding . Fold in top and bottom and fold over each side, placing wrap seam-side down on a plate. Cut into 3 portions. Serve chilled or at room temperature. 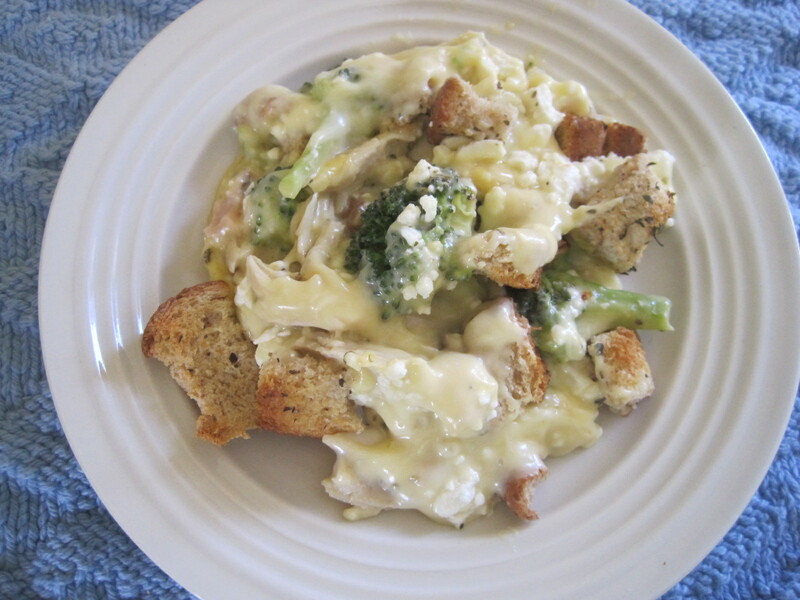 This dish came about when I had some leftover broccoli and half a package of feta cheese. 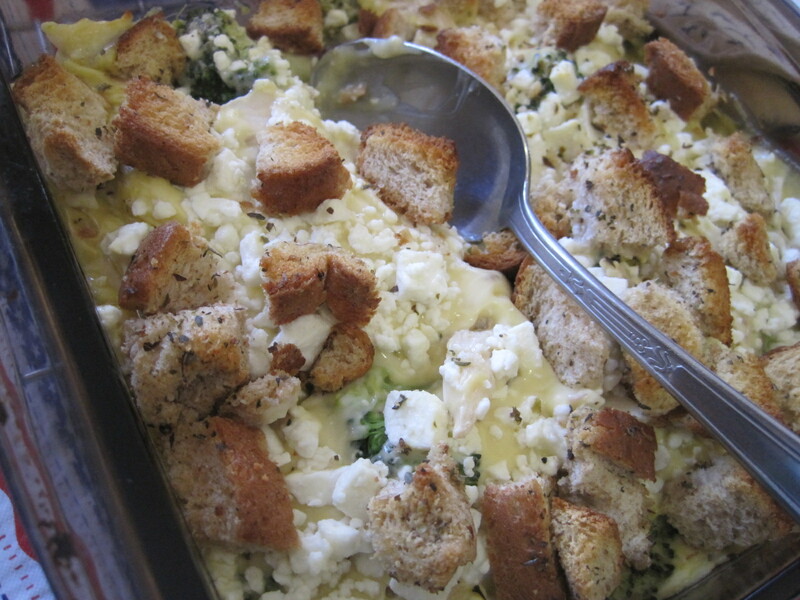 The feta and oregano give this dish a really nice flavor. 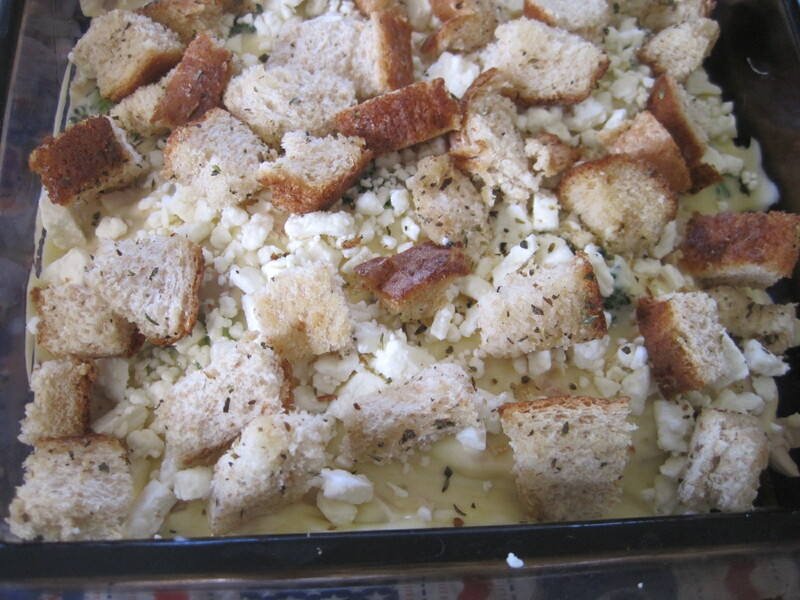 The bread cubes add crunchiness and extra flavor, plus they make this a satisfying, filling dish for supper. My daughter and I both loved it. 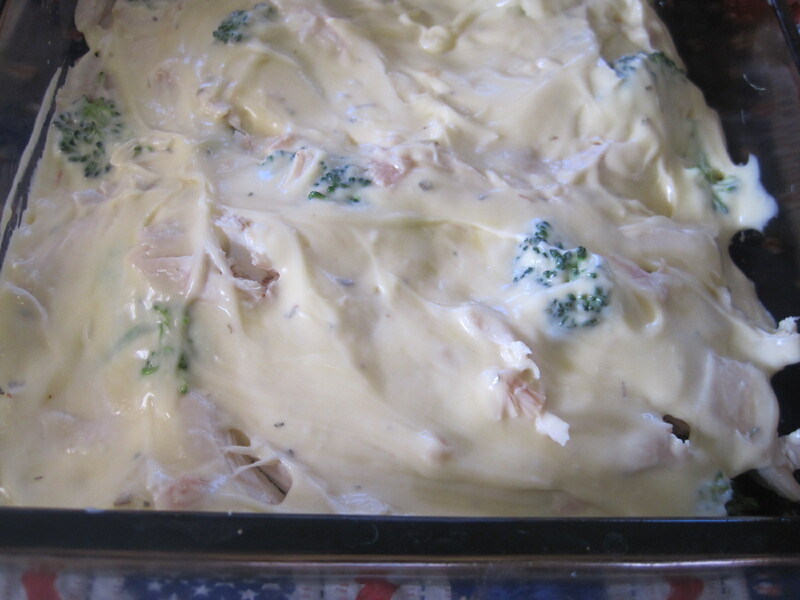 Arrange steamed broccoli in an oiled 9×9 inch baking dish. Spread cooked chicken on top. In a medium bowl, combine soup, mayonnaise, lemon juice and ½ tsp. oregano and pour over chicken. 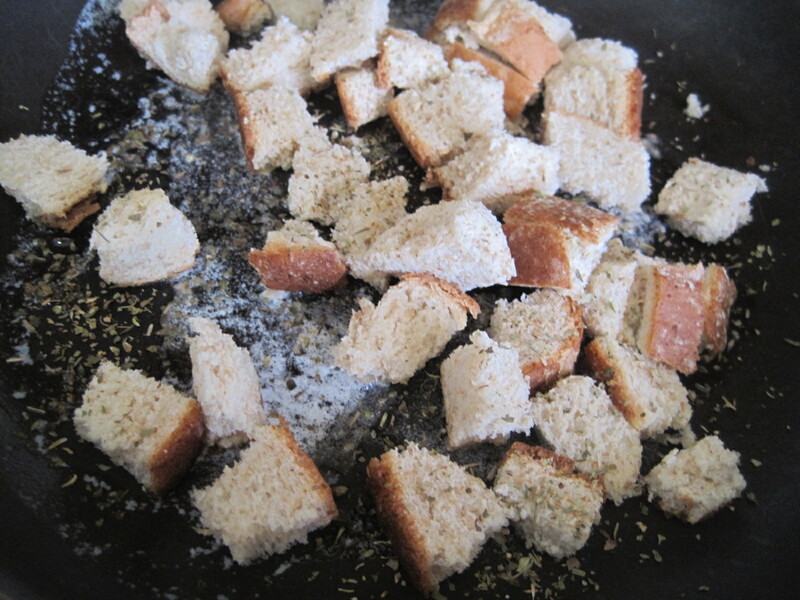 In a small skillet, melt butter and toss bread cubes to coat. Place cubes on top of chicken mixture. 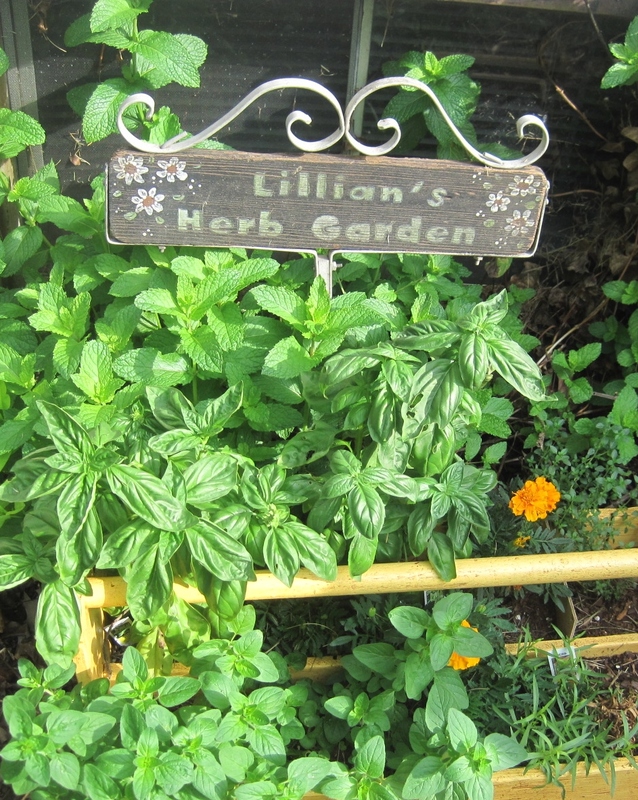 Sprinkle lightly with ¼ tsp dried oregano. Bake uncovered @ 350 for 25 minutes. This dish was inspired by one on Allrecipes.com, but changed quite a bit. My daughters and I enjoyed this for lunch on Sunday and were able to enjoy it again for Monday night supper. 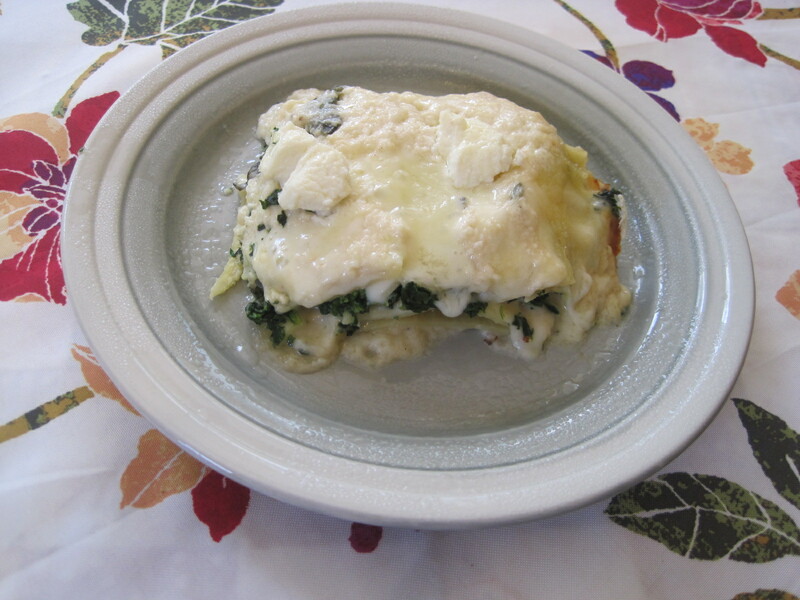 It’s very tasty and filling, and reheats well in the microwave. 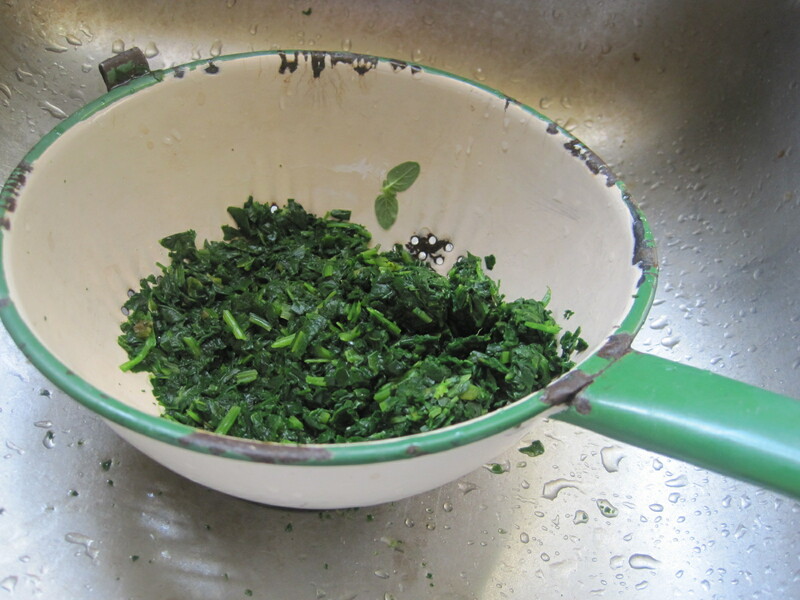 *Squeeze water out of the spinach after draining so that it is as dry as possible. Cook lasagne noodles in boiling, salted water for 8 to 10 minutes. Drain and rinse with cold water. Set aside. Pat dry with a paper towel before adding to dish. In a saucepan, whisk together the flour, salt and cold milk until smooth. Add hot broth and cook over medium heat, stirring constantly, until mixture starts to bubble. Lower heat and continue cooking for two more minutes, stirring constantly. Remove from heat and add 1 cup of mozzarella, 2 Tblsp. Parmesan, basil, oregano, black pepper, nutmeg and dried onions, stirring to blend until cheese is melted. Spread 1/3 of sauce mixture in the bottom of baking dish. Layer with 1/3 of the noodles and all of the chicken. 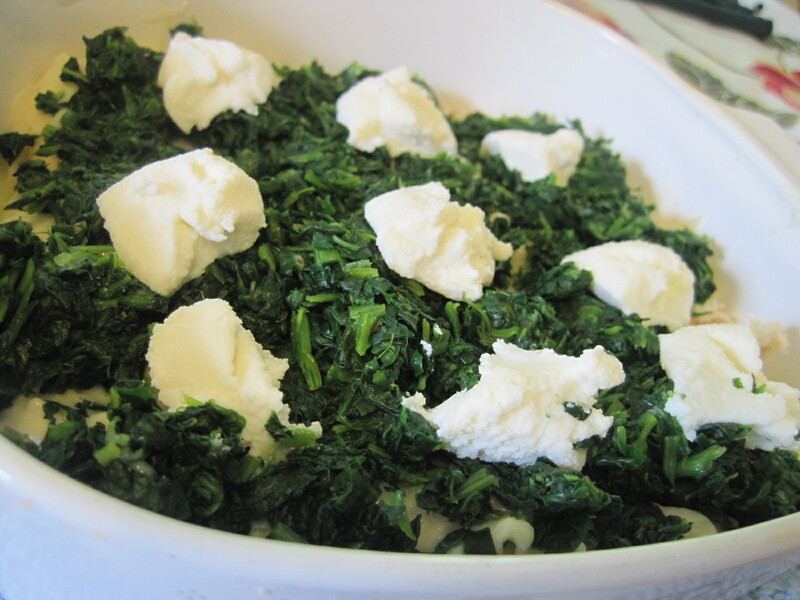 Using 1/3 of ricotta, place in dollops on top. Arrange 1/3 of the noodles over the chicken and layer with 1/3 of the sauce mixture, all of the spinach, the remainione cup of mozzarella and 2 Tblsp. Parmesan. 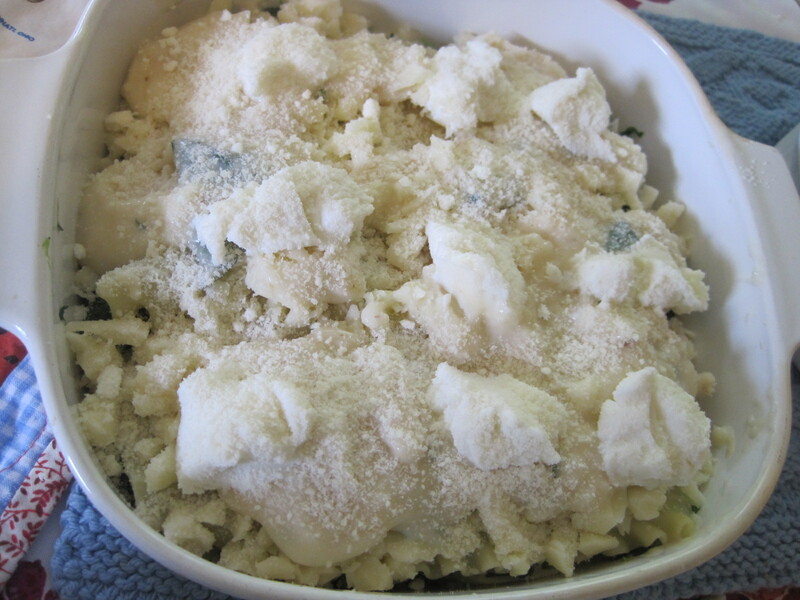 Place 1/3 of ricotta in dollops on top. 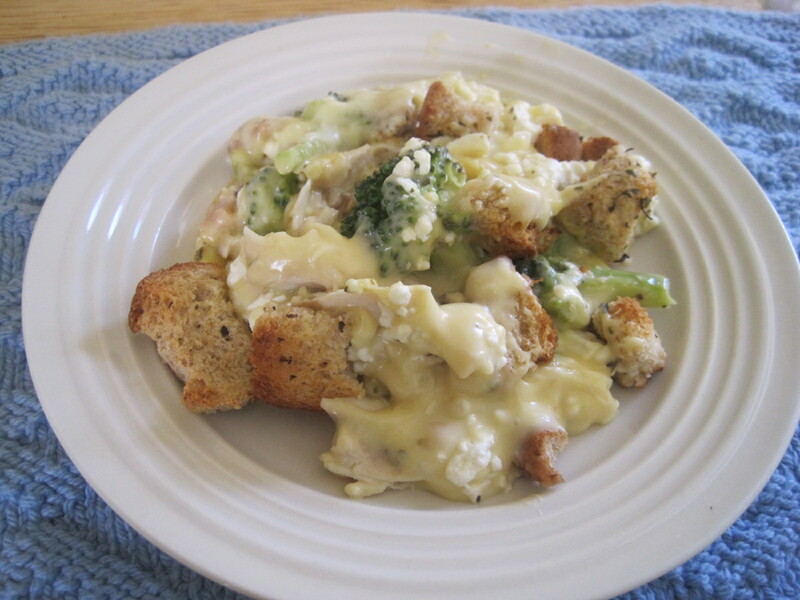 Arrange remaining noodles over cheese and spread remaining sauce evenly over noodles. Add remaining 1/3 of ricotta in dollops over top and sprinkle with 2 Tblsp. Parmesan. Bake in preheated 350 degree F oven for 35 to 40 minutes until top is light brown. Let dish stand for 5-10 minutes before serving.